OLD PARKED CARS. 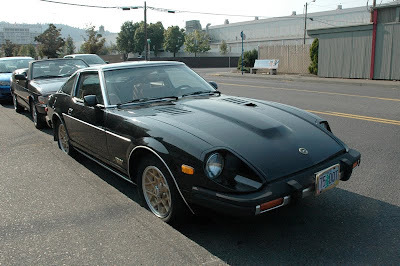 : 1981 Datsun 280ZX Turbo. The lady who owns this came out and was very excited to see someone who liked her car. She bought it from her Gramma recently, and the car only has 110,000 original miles on it. She's going to take good care of this gem. 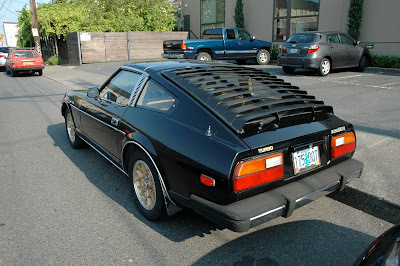 Gotta love the rear louvers... nothing says 80's more than rear louvers and front bras. The gold rims go good with the black paint. Cool. I pass this building every morning on the way to work, and since this day I've been disappointed every time I drive by (it's never parked here). But I think the owner had been wanting to get another daily so she could keep this one garaged, nice. 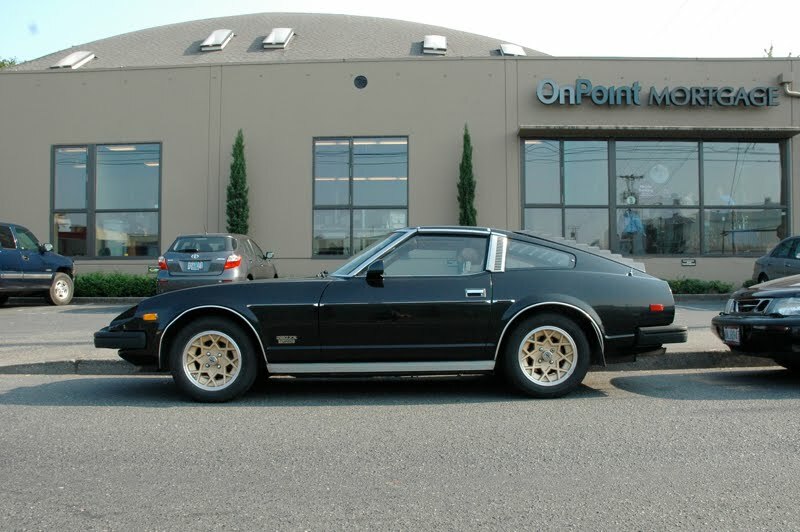 to the Lady with the 280ZX!!! I too own a 1981 280ZX Turbo and I'm getting ready to paint it. I wanted to see what the original paint scheme looked like, and I've gotta say your car is an OUTSTANDING example! You've got a real gem there, and I'm sure your grandma is happy that you're enjoying it (I'm probably her age group! ha). Take care.